Gravity Rush for the Playstation Vita has been around for quite a while in Japan however Europeans and Americans have to wait to get a copy of Gravity Rush. Sony have confirmed that Gravity Rush is not download only and can be purchased physically from a store. Space-shifting action title Gravity Rush will now be released as both a boxed and digital title in Europe, MCV understands. Sony had previously stated that it would only be available in Europe via the PlayStation Network. The reason for the decision is unknown, though it is likely linked to the sparse PlayStation Vita release schedule – any change to get new content in front of consumers will surely now be embraced. Whether it is also linked to the sales rates of Vita titles on PSN we cannot say, with Sony keeping Vita sales numbers very close to its chest for the time being. 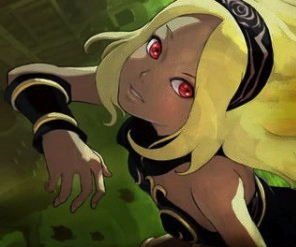 Gravity Rush is due out in the UK on June 13th. Are you happy about the physical copies? Let us know in the comments below!